This sterling silver necklace was inspired by the fluid sweeping lines of an ocean wave. 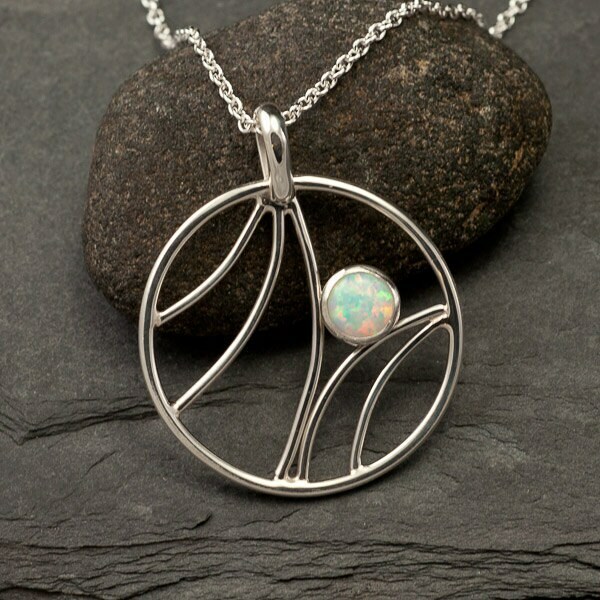 The necklace is accentuated with a 6mm lab opal gemstone. 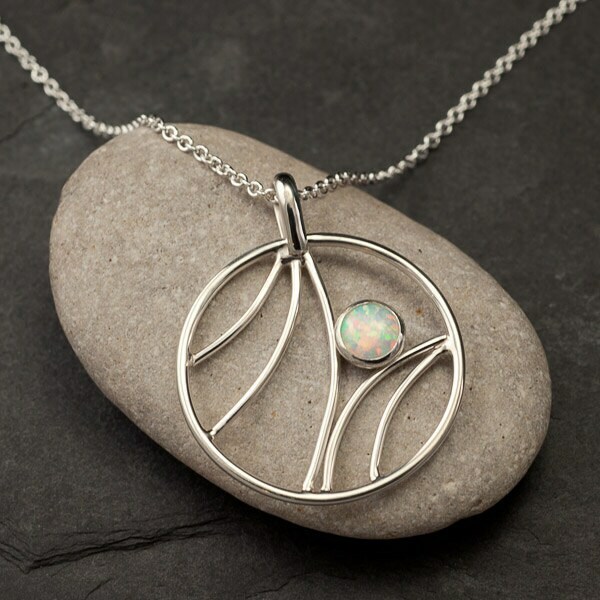 The blue flashes in the opal mirror glistening water.This pendant is surprisingly lightweight & cascades beautifully from the neck. 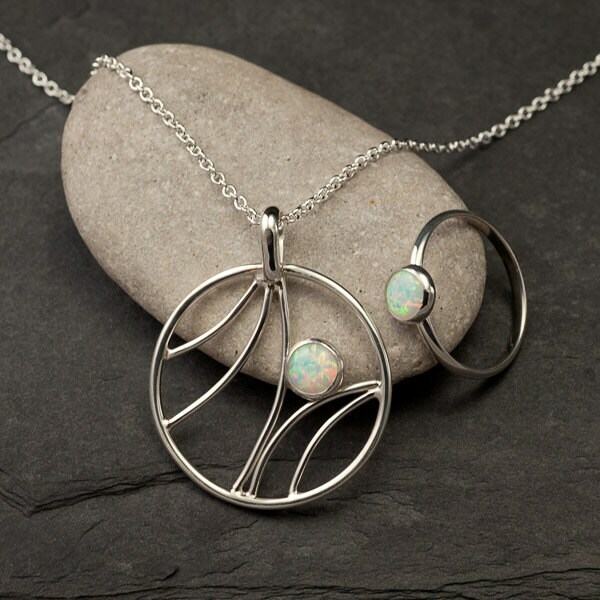 The pendant comes on a 16" or 18" sterling silver chain. 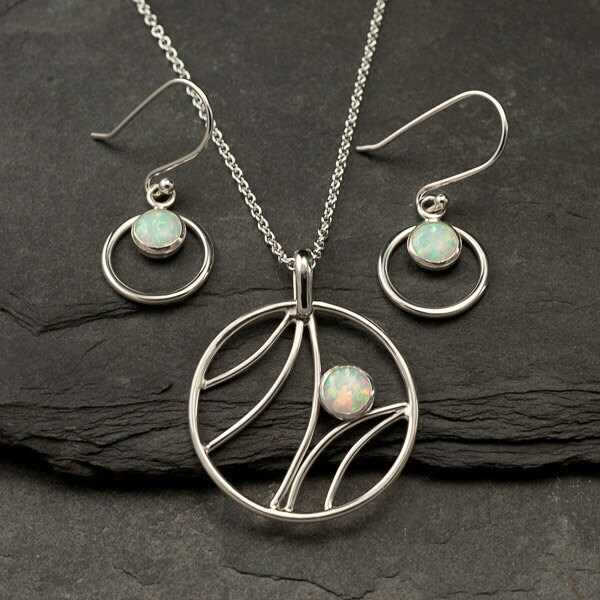 *opal is the birthstone for October. 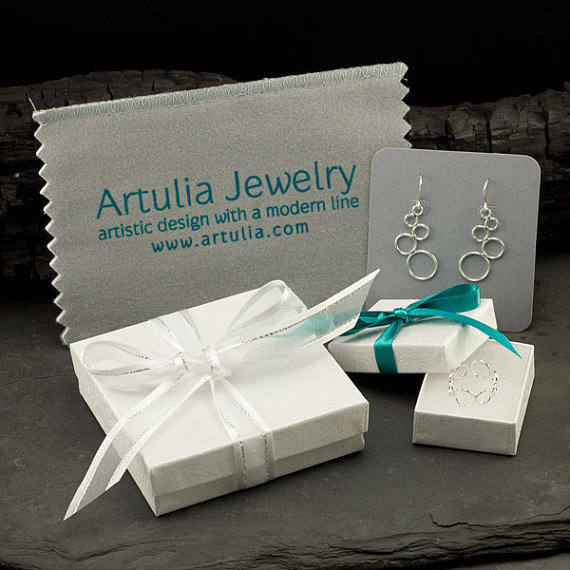 The necklace will arrive gift-wrapped and includes a jewelry polishing cloth. Domestic Shipping includes Delivery Confirmation with tracking & insurance. Is more stunning in person! 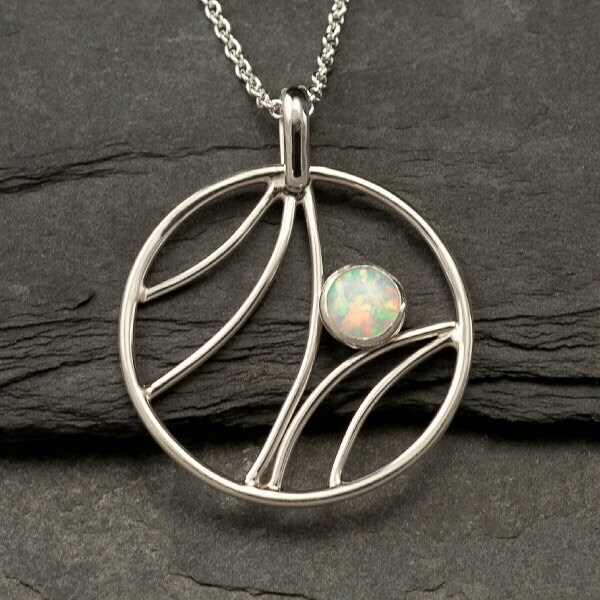 Absolutely love this necklace with the opal. I love the necklace. It looks great. Arrived very quickly.